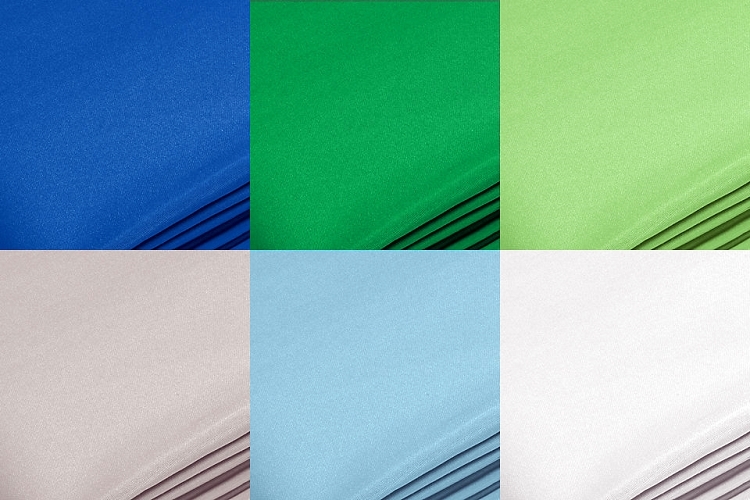 Professional Chroma Key cloth seamless backdrops. 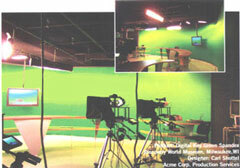 For TV, digital masking, commercial video, digital photography and special effects. 3" rod pocket on one 11' side for background stand mounting. Machine washable. Wrinkle resistant. Inherently Fire-retardant. 14 oz./yard, drapes, lights and keys beautifully. Custom sizes available up to 52'x60' seamed. Choose color and size from drop-down menu. Clearance special: We have a few in white, gray and day blue available at prices and sizes shown.